At last I finally convinced myself that it would be a good idea to start a blog to document my obervations / our discussions about interesting Swedish words. So I’ll take it upon myself to write about at least one word per week, whereas your committment should be to leave a comment, at least occasionally. For those of you already involved in my Swedish education, some of the words will be already quite familiar, at least at the start. You can subscribe to receive “words from sweden” by email, by clicking on the button at the base of the right-hand column. And now, a clue to next week’s word. 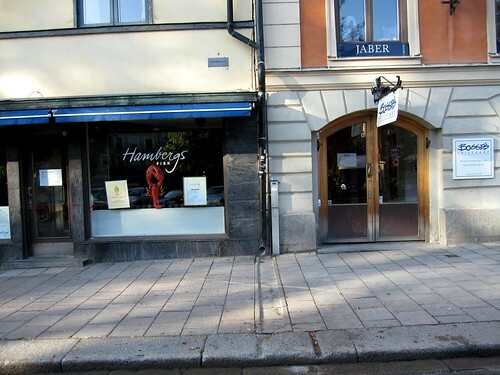 What word do these two businesses (Hambergs fish restaurant and Bosses hairdresser) on Fyristorg in Uppsala have in common?